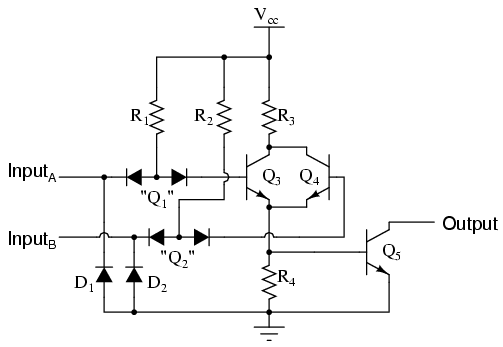 If input A is left floating (or connected to Vcc), current will go through the base of transistor Q3, saturating it. If input A is grounded, that current is diverted away from Q3's base through the left steering diode of "Q1," thus forcing Q3 into cutoff. 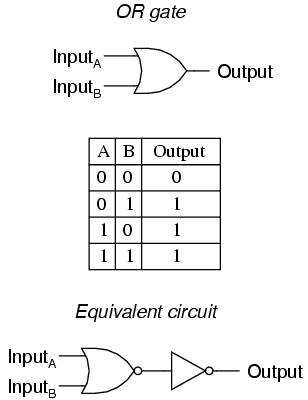 The same can be said for input B and transistor Q4: the logic level of input B determines Q4's conduction: either saturated or cutoff. 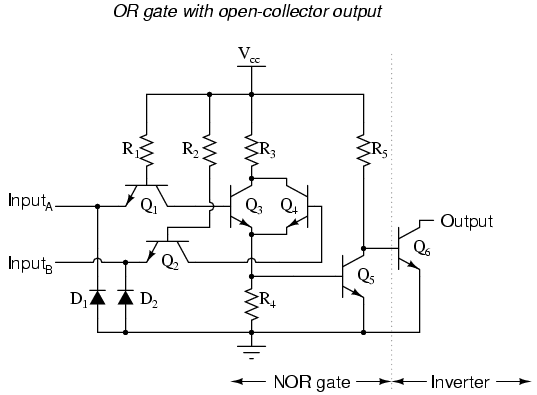 Notice how transistors Q3 and Q4 are paralleled at their collector and emitter terminals. 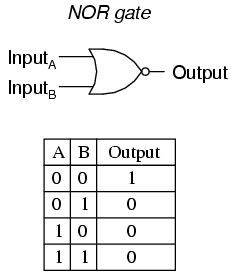 In essence, these two transistors are acting as paralleled switches, allowing current through resistors R3 and R4 according to the logic levels of inputs A and B. If any input is at a "high" (1) level, then at least one of the two transistors (Q3 and/or Q4) will be saturated, allowing current through resistors R3 and R4, and turning on the final output transistor Q5 for a "low" (0) logic level output. 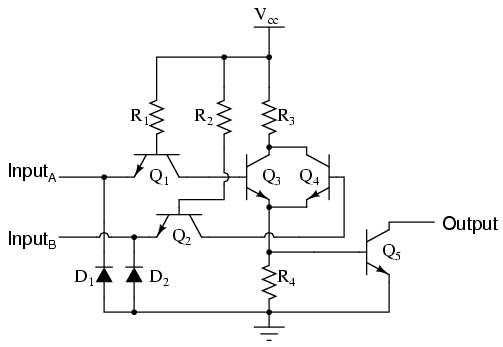 The only way the output of this circuit can ever assume a "high" (1) state is if both Q3 and Q4 are cutoff, which means both inputs would have to be grounded, or "low" (0).